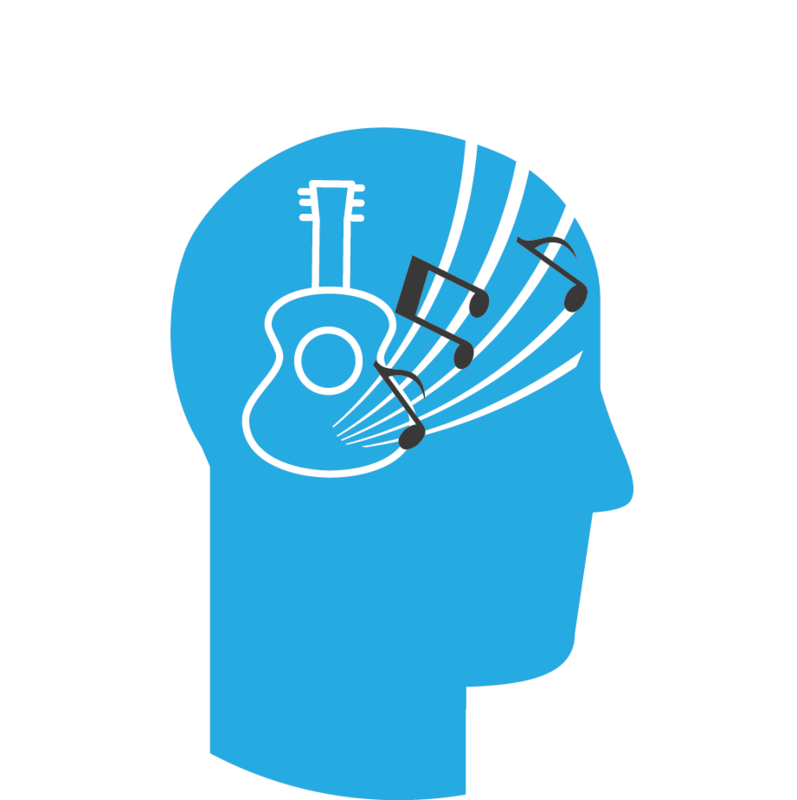 1Visualize - You’ll “see” notes and scales jump out at you, so you always know what to play. 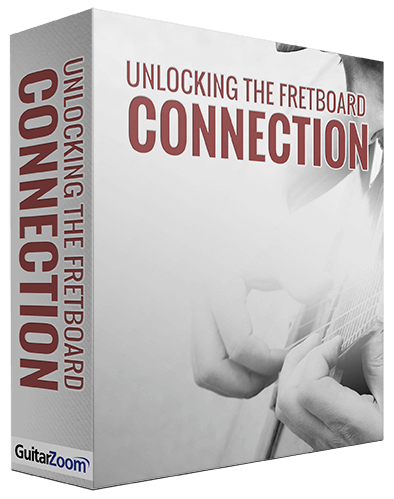 2Connect - You’ll connect patterns across the entire fretboard and master every playing position. 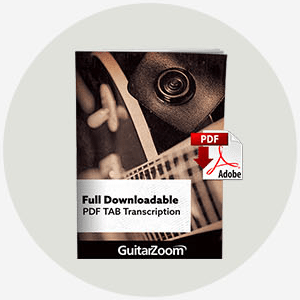 3Play - You’ll play musical solos with complete confidence for any style of music. 1 easy way to transpose licks into any key using the “treadmill technique”. How to move freely vertically and horizontally (X and Y axis method) and get complete control of the guitar neck. 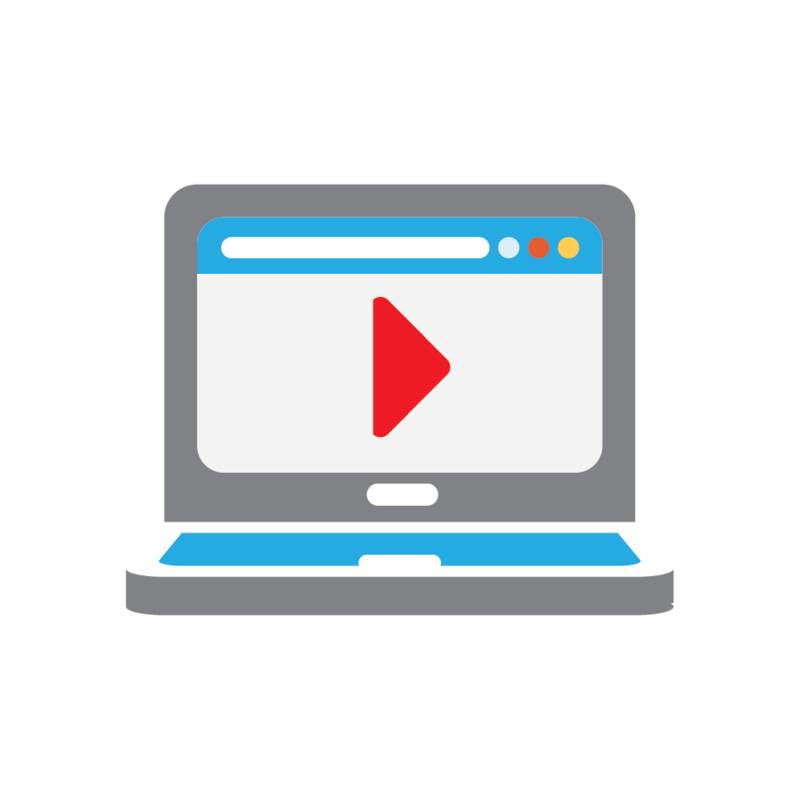 Streaming video plays on computer, phone, or tablet. No software to install. Step-by-step video instruction. Go at your own pace. Watch as many times as you like. 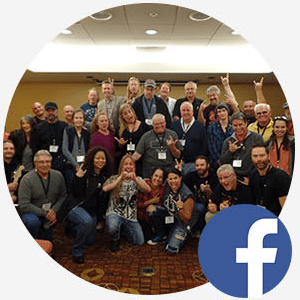 When you order any GuitarZoom products, you get access to our private Facebook group, reserved for students only. So, you’ll always have the support you need from guitarists who understand the challenges you face. And together, they’ll help you reach your goals. You’ll never be alone in your guitar-playing journey. 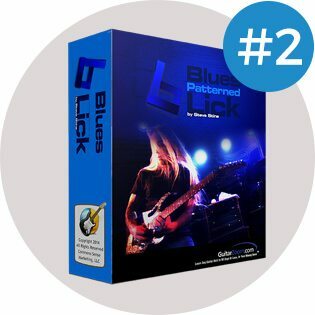 Discover how to play cool blues patterned licks and riffs to spice up your guitar solos. 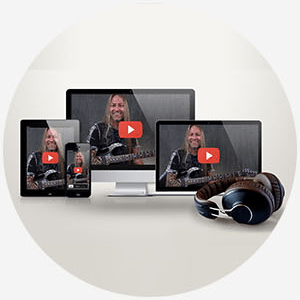 You get 32, 5-min videos that will give you the fast, easy shortcuts that most guitarists will never learn. These videos were inspired by the 25-years Steve Stine spent teaching private lessons. Steve Stine is known as the world’s most sought after guitar-instructor. 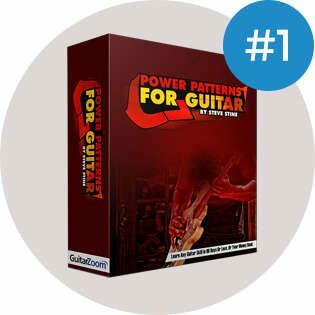 After years of struggling to understand how the guitar “really works,” he developed a step-by-step training method to help you quickly overcome obstacles and rapidly advance your playing to a level you never dreamed possible. He holds a bachelor’s degree in music education from Minnesota State University, Moorhead. And he’s played lead-guitar in dozens of bands, touring the U.S. and UK. He’s a featured guest instructor at Guitar World Magazine and the distinguished former Prof. of Modern Guitar Studies at North Dakota State University. 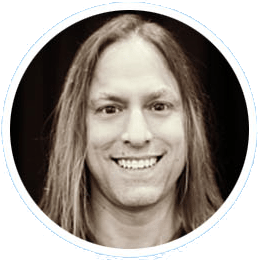 Steve Stine is considered the world’s top guitar instructor because his students see real, noticeable improvements in their playing, fast. Copyright © . 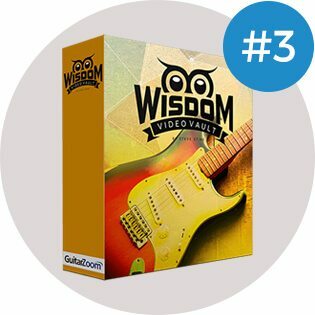 GuitarZoom, Inc.
Steve's way of teaching taught me more in 2 months than I learned in 5 years trying to teach myself. Steve's videos are excellent. Whether you're a complete beginner, or looking for new ways to hone your technique, the material is clear, and presented at an understandable pace. 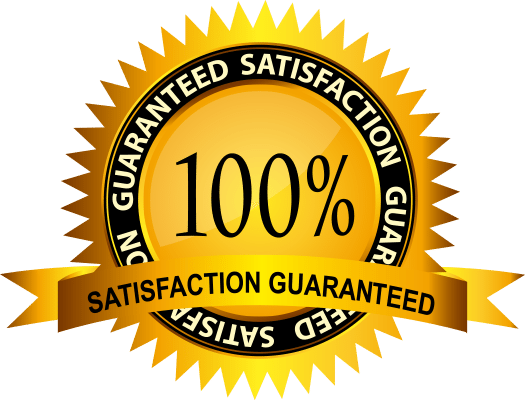 You are without a doubt the best communicator when it comes to tutoring that I have seen. I've learned more from watching you in a few months than I did from dozens of others for years. Superb stuff, mate! #1This offer expires soon. And when it's gone, you'll miss your opportunity. #2You need a guide you can trust. The best guitarists in the world all learned from somebody. Stevie Ray Vaughan learned from his big brother, Jimmie. Kirk Hammet and Steve Vai learned from Joe Satriani. #3You need a plan. Big progress doesn't come from "noodling" around. 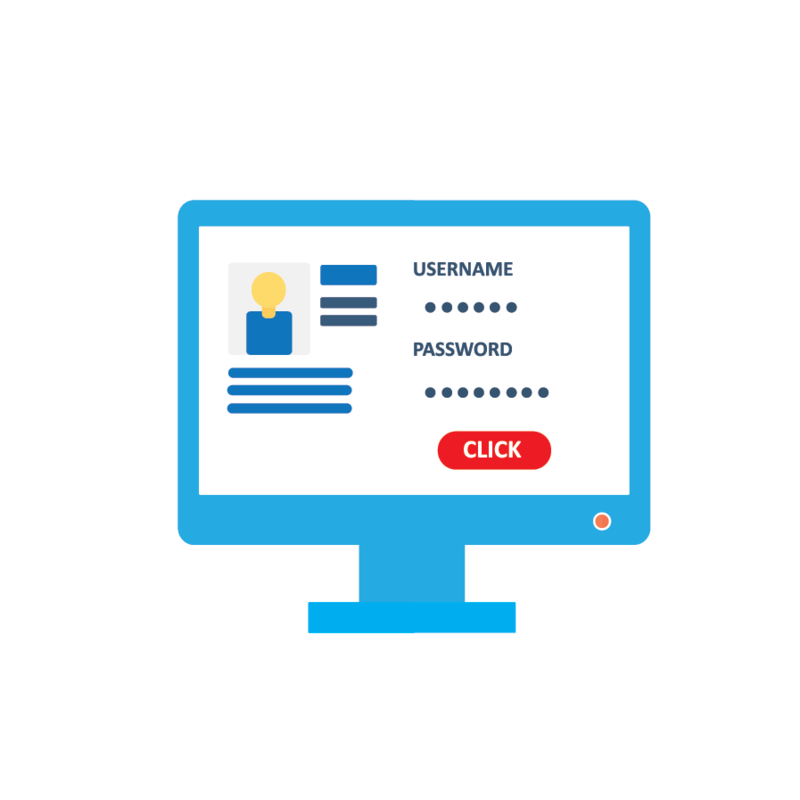 This course gives you a simple, step-by-step plan that's easy to follow and fun! #4The better you are, the more fun is to play! If guitar isn't as fun as it should be, it's because, deep down, you know you can be a better player. This course will help you achieve your goals, fast.